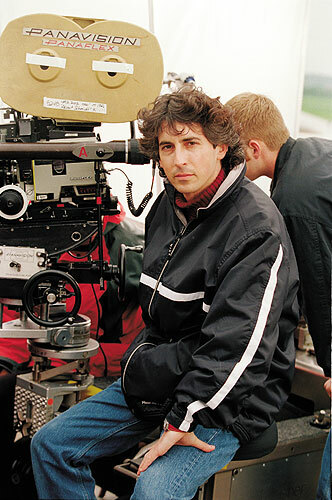 Alexander Payne is a director, screenwriter and producer that has made his name with films like ‘The Descendants‘, ‘Sideways‘, ‘About Schmidt‘ and last year’s Oscar nominee for Best Directing ‘Nebraska‘. As the recipient of two Academy Awards for writing with ‘The Descendants‘ and ‘Sideways‘, Payne has selected his next film. ‘Downsizing‘ is another writing venture for Payne and Jim Taylor, the shared recipient of the writing Oscar for ‘Sideways‘. There isn’t a lot of information on the film as of yet, but we know that it’s a social satire of the strangest type in which the main character realizes he would have a better life if he were to shrink himself. The topic sounds a bit strange to me, but not to Matt Damon as he has signed on to star in the developing project taking him out of the rumored picture from director Zhang Yimou, ‘The Great Wall‘. Damon has a few projects in motion at the moment. Damon features in ‘The Martian‘ from Ridley Scott about an astronaut becoming stranded on Mars struggling to survive, he has also agreed to, once again, be the face of Jason Bourne in another installment of the action-packed franchise. This entry was posted on Wednesday, November 5th, 2014 at 6:24 pm	and is filed under Film, News. You can follow any responses to this entry through the RSS 2.0 feed. You can skip to the end and leave a response. Pinging is currently not allowed. « Inaugural Wizard World Comic Con Show In Tulsa This Weekend!! !